Welcome to the fun, rewarding world of acrylic pouring! You may have seen it referred to as liquid art, fluid art, or paint pouring, but no matter what you call it we’re excited to be able to help you out. We’ve put this guide together to help beginners figure out exactly what they need to start making their own stunning, abstract, and colorful art, full of cells and character. As with any new hobby or passion, you’ll need to invest in a few essential supplies. Below, we’ve rounded up all of our favorite mediums, paints, canvases, and more. These are our tried-and-tested standbys in each category, recommended from one passionate pourer to another. What, specifically, will you need? Paint (obviously), and a lot of it! Our recommended brands are below. 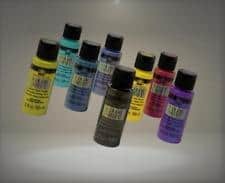 You’ll also want some pouring mediums to make your paint mixes flow better and with more swirling character. And, of course, canvases are absolutely essential. Other key things, such as drying racks, cups, sticks, and other utensils, make the whole process easier and neater. And some things, like glitter or metallic paints, are just the cherry on top of an already rewarding art form! We’ve sorted all our recommendations by category below. We’ve also created a few kits, so you can quickly and easily grab a bundle of basic supplies. So consider buying a decent-sized kit right off the bat. Make sure you’ll have plenty of surfaces to practice on and plenty of paint. You can grab all the supplies we’ve marked as “essential” below, then add extras from our “expansion” picks as you want to or can afford it. Below you can add all our recommended items to your Amazon cart with just one click. You’ll still be able to review your cart and remove and replace items to your heart’s content. Select one of the links below to add the desired kit to your Amazon cart. It goes without saying that paints are the most important thing to have on hand when you’re creating pours! 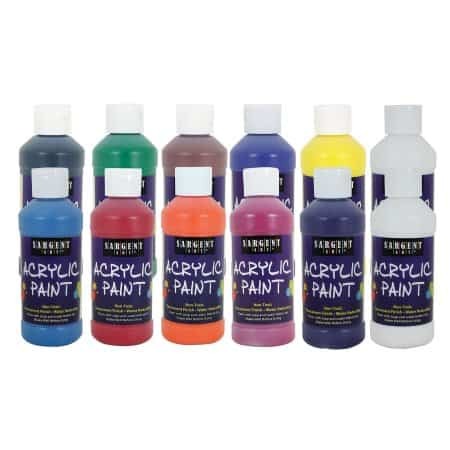 We recommend starting with larger bottles of the more economical paints in basic colors. 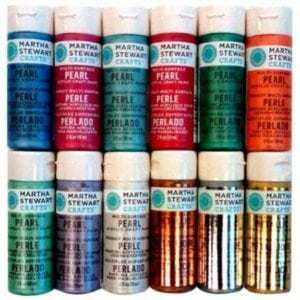 Then, supplement with smaller bottles of nicer craft paints or more unusual colors, and add pizzazz with some specialty paints such as pearls, metallics, and glitters. If you’re on a budget or just want to give pouring a try, you can start with a basic paint set then add more variety later on. Make sure to get plenty of black and white, because you’ll likely use those two the most. All the basic colors you need in nicely sized 8-ounce bottles. This is the best place to start if you’re on a budget or just want to keep it simple. A wide assortment of the most popular colors from Apple Barrel, a brand known for its excellent value. The bottles are smaller than in the Sargent option above, but this set offers more color variety. Have a bit more to spend and want the most mileage from a starter set? 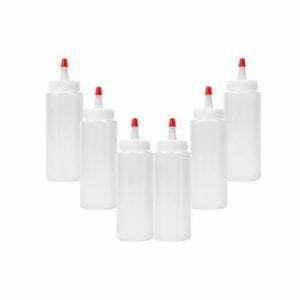 These 16-ounce bottles come in all the basic colors, and you’ll be able to pour and pour and pour without worrying about running out of paint. 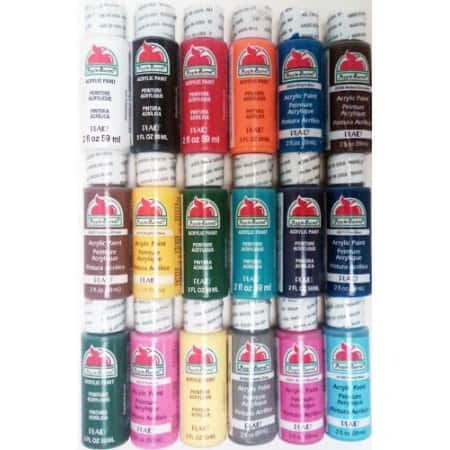 These are very small (22ml) tubes, but the paint is high-quality and the set provides a tremendous variety of colors. If you love color, this is the starter set for you. Make sure to buy a big extra bottle of white, because you’ll probably use this color the most (especially at the beginning). A decent budget black without the flaky, chalky finish many brands have. Because we all need a little glitz and glamour à la Martha in our lives! This is a convenient set of best-selling pearl and metallic colors. Excellent quality and very reasonably priced for what you get. If you really love your metallics, we recommend economizing by buying them in bigger bottles. This six-pack should keep even diehard metal-heads going for a while. A great option for people who want to get their bling-bling on regularly without spending a fortune. These are hands down some of our favorite paints for pouring. They’re great on their own and awesome mixed with black in a flip-cup or negative space pour. A bit pricey, so probably best for intermediate and advanced pourers or those who don’t mind spending more. We use pouring mediums to enhance the characteristics of our paints. A good medium doesn’t change the color or the finish of the paint it’s added to. High-quality mediums simply make paints flow more freely, which makes for better pours! 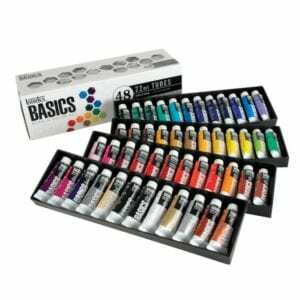 Mediums “thin” your paints to give you more time to work with them on the surface. Again, your medium won’t change the visual characteristics like water would. It simply makes paint better to work with! 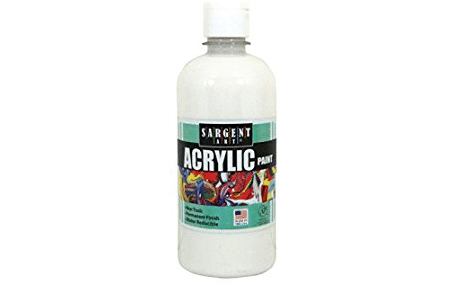 Acrylic Pouring Medium Guide: What Is It, Why You Need One, and Which Are Best. 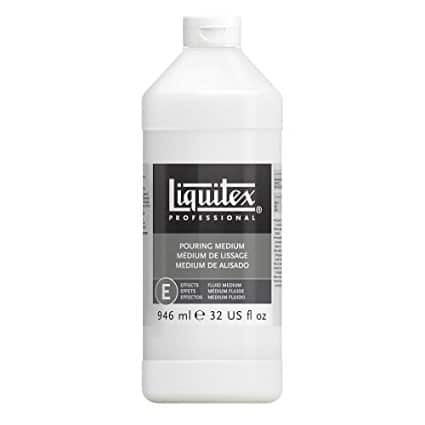 Liquitex is the is the best known and best-selling brand of pouring medium by far, and many painters won’t use anything else. Add this to your paint to thin it, make it easier to move and flow, and to give volume to the finished pieces. Hardware store staple Floetrol is traditionally sold as paint extender for home improvement projects, but it’s become popular in the world of acrylic pouring, too. You can use this as a standalone pouring medium, or in conjunction with another medium to promote the formation of cells. If you’re unsure which to buy, we’ve done some tests on Floetrol vs Liquitex. In one test the Floetrol created more, smaller cells while the Liquitex created bigger, softer cells. So which medium you choose might depend on what result you’re looking for. It doesn’t really matter which one you start with, but grab one so you can get your pour on! None of these are required, but they’re fun to experiment with. You’ll find a lot of recipes out there that include silicone or other lubricants. We did an experiment with and without silicone and found that adding silicone to all of your colors results in the best cells. If you want amazing cells in your pour (and who doesn’t? ), then adding a few drops of this 100 percent silicone oil to your paints will do the trick. This bottle will last you a very long time. You can certainly get a decent amount of cells just using a pouring medium, but silicone is the way the masters do it! Treadmill belt lubricant is our favorite and the easiest to use form of silicone oil, but you can also pick up other types, like WD-40, dimethicone, and personal lubricant. 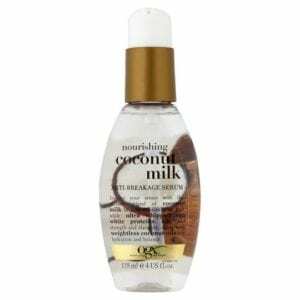 A good alternative to silicone oils, this hair serum contains dimethicone, a skin-friendly form of silicone oil, and works great to make cells in your painting. It smells good, too! We’ve tested a lot of different silicone oils and additives! Check out what we found in our guide: The Best Silicone Oils and Additives to Make Cells. Pouring doesn’t depend as much on brushes and knives as other painting methods, but you definitely do need a few basics. 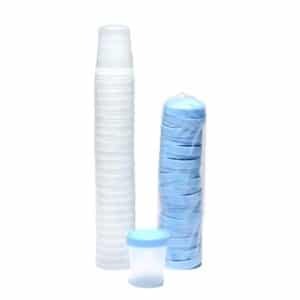 Mix your paints in these clear plastic cups, then use them for dirty pours and flip cup pours, too. Stock up…you’ll need these! 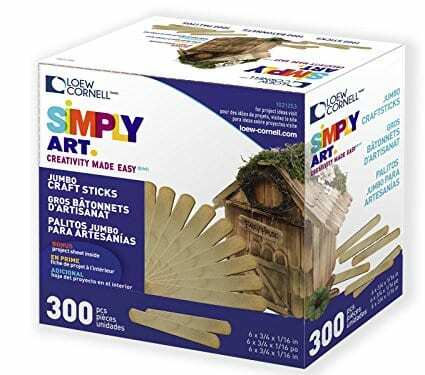 You need popsicle sticks for mixing your paints, so invest in a big pack or plan to wash and reuse them. You’ll want brushes for fine detail work, gessoing canvases, painting the sides of your canvas, and maybe adding fun metallic accents. Brushes aren’t absolutely essential for beginners, but once you start making pieces to hang in your home or sell, you’re going to want them. 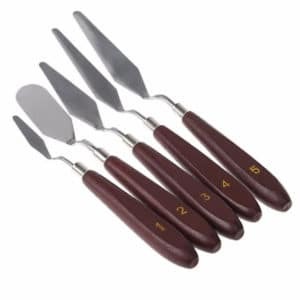 This knife set is helpful for picking up your spilled paints and filling in the sides of your canvas. It can also be used for creating small swipe paintings. Definitely something to think about if you’re in the intermediate stage and looking to boost your tool kit. Add silicone to your paint, then heat it gently with this chef’s torch and watch those fascinating cells pop out! This is how experienced pourers take things to the next level. Don’t forget to buy a can of butane at the same time. There’s no need to be scared of the torch; it’s easy to use and you won’t set your painting on fire! This LiBa torch is a great deal. You could spend more money, but there’s need to. 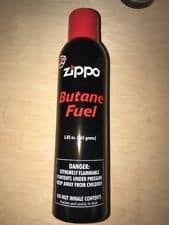 This is the butane fuel you’ll need to fill your torch. Enough said! 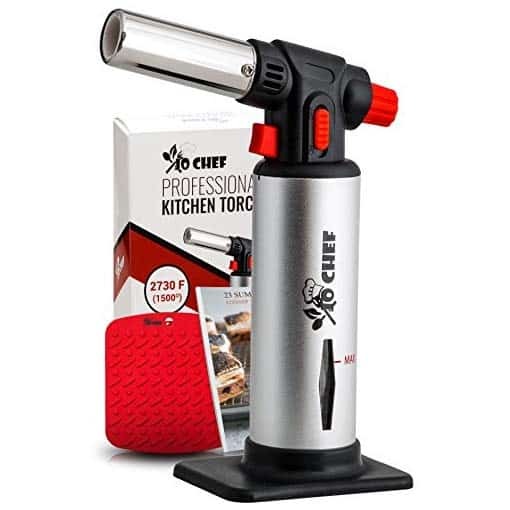 Confused about torching or just a bit intimidated? Check out our tutorial to learn how to use a butane torch in acrylic pouring. You can pour on any number of surfaces, such as ceramic tiles, vinyl records,, driftwood, or even photo paper. Still, canvases are the go-to for most of us, especially at the beginning. We recommend starting out with a value pack and then investing in nicer surfaces once you get some pours under your belt. 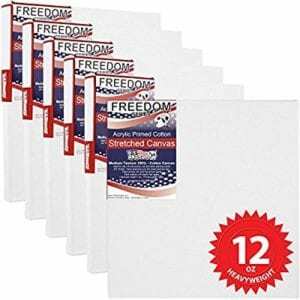 A good economy starter set of 8-by-10-inch canvases to get you going. Your first paintings might not turn out exactly as you plan, so practice on these smaller, inexpensive canvases before going for the larger or more premium versions. 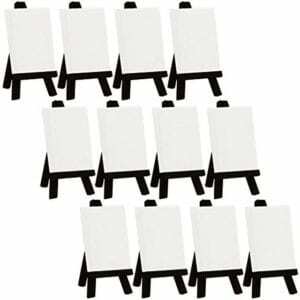 When you have a few successful paintings under your belt, consider investing in these larger, professional-quality square canvases. These are as nice as you’ll need. These little canvases are perfect for practicing on, checking out your color choices, or using leftover paints. The stands that come with them are super cute! Soon all your friends will be wanting you to make them an original piece of art to display. 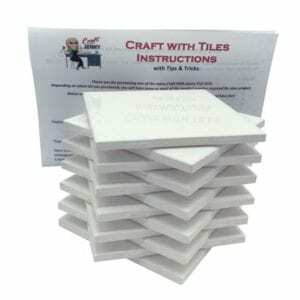 Ceramic tiles are a fantastic alternative to traditional canvases. 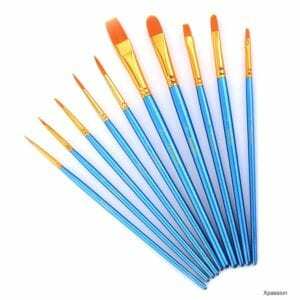 They’re great for using up extra paint and creating practical, gift-able pieces of art. If you don’t know where to begin, check out our recipes and projects on the site that use ceramic tiles. We recommend preparing your canvases and other surfaces with gesso before you paint. Even though most canvases say they’re already primed, many artists prefer to apply another layer of gesso before pouring. 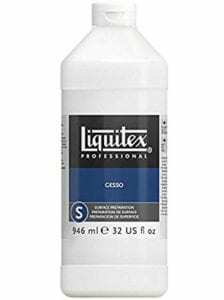 While there are many options for Gesso, Liquitex is the go-to for acrylic pourers. You might have to do a few pours before you get one worthy of finishing and hanging on a wall. Still, you’ll want to have a varnish on hand so you’re prepared when you hit upon your first gem! Give your completed pours two or three coats of this clear glossy varnish to seal them, protect them, and really make them shine. Want more? 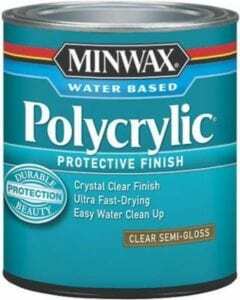 Explore our detailed guide to the best protective finishes to seal your paintings. Pouring can be a messy business, but the supplies below will help make sure you don’t end up using your home as a canvas! 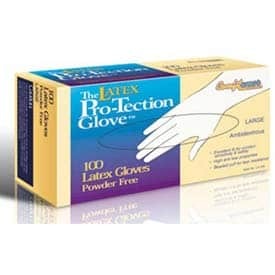 Keep your hands clean and stop the paint from drying under your nails with these disposable gloves. 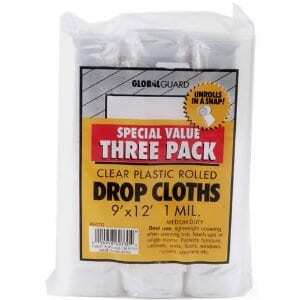 Protect your table, your home, your carpet, and more with this plastic sheeting on a roll. Painting can be messy. When you pour, it can splash. Don’t make your living room floor into a painting of its own. Put down plenty of plastic! 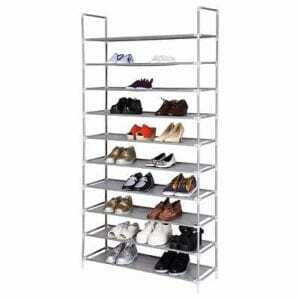 Why do you need a shoe rack for painting? You’ll see once you get addicted and can’t stop painting and every surface is covered in drying tiles and canvases! This lightweight rack doesn’t take up much floor space and is ideal for keeping your paintings out of the way while they dry. If you pour a lot or have a favorite few colors you turn to again and again, save mixing time by prepping larger amounts of paint in advance and keeping them in these squeeze bottles. If simplicity is your thing, we’ve put together kits for typical beginners and ambitious beginners. Below you can add all our recommended items to your Amazon cart with just one click. It takes an investment to procure all your equipment, time to develop your skills, and courage to try something new. But you already have what it takes to become a talented pourer! With our learning materials, you’ll be able to master everything you need to know. Many in our community say their lives feel much more full and meaningful since they’ve gotten into pouring. They’ve been able to let go of control and live more in the moment—both while creating art, and in other parts of their lives, too. People in our community are successfully using acrylic pouring to escape depression, cope with anxiety, manage chronic pain and PTSD, relieve obsessive tendencies, deeply relax, and find the courage to live their lives more fully than they could have ever dreamed possible. If you feel called to join our tribe and bring this beauty into your life, consider investing in our e-book and/or video course. Our e-book walks you through everything you need to know to do your first pour. By the end of this guide, you’ll be proficient in mixing paint, the five basic pouring techniques, and the tips and tricks experienced pourers swear by. If you learn best by watching something in action, our video course is the perfect companion to the e-book. To really deep-dive into techniques and get all the benefits this art form has to offer, you’ll want to follow along with the video course. Learn how to mix your paints to the right consistency, get specific tutorials for each of the five basic pouring techniques, and receive a multi-lesson guide to finishing your paintings and troubleshooting common issues. By the end of the course, you’ll be able to create paintings worthy of hanging on your walls, giving to friends, swapping in our painting swaps, or even selling. We hope this guide has been helpful. Are you using any of the silicone oil products? These make it much easier to get cells when you are starting out. Stupid question here, what is a cell? Cells – a goal of many acrylic pour painters, to create movement in their paint layers where the paint on top separates and allows colors underneath to show through, usually in round or organic shapes. Hey consider placing your eBook on Amazon Kindle. It’s free to upload. I had considered it, but they take such a high commission and then they tax me on top even though I am not in the US. Ends up with almost nothing left of the price. I’m happy to have fewer sales and build a more personal relationship with the readers. How much pouring medium do you suggest I get for a 48”x 60” canvas? It’s probably best to think about the volume of the total mix needed rather than just the pouring medium, because that depends on your recipe. Are you in our Facebook chat group? We have a table in there and suggestions by several members in the group files section, about how to estimate how much paint you need for any size of painting. This is the LINK HERE, although you need to be a group member to read the document. Re pouring medium, I am not on Facebook and don’t wish to be, is there another way to get details about volume etc as a subscriber? By the way I downloaded onto my iPad and therefore was able to transfer your book onto iBooks which enables me to reference the info without keep going into the email. Really enjoying it, thank you. In that case I suggest trying the Art Resin calculator as a guide for how much paint you might need for any surface size. You will probably want to mix a little more than suggested to allow for the overspill, but it should give you a starting point. The larger the canvas, the more the weight of the paint causes the canvas to sag–and the more paint you would need (and more time to dry). You need to support the underside or consider a solid surface to pour onto. I’m just getting all the stuff I need together before starting pouring for the first time, I’ve read that you need to strain the paint to avoid lumps and bumps but the strainers come in all different sizes. Can you tell me what size and type please. Thanks Deby, I did see that on one of the posts but I’m in the U.K. so I need to get my supplies from here, I can’t get the exact ones but will just order a fine mesh. Thanks for your help, love your demonstrations and looking forward to giving it a go. Loving your site and all your helpful hints and tips. I’m really looking forward to giving acrylic pouring a go. I am in Australia and struggling to find places that supply floetrol and silicone oil. Do you now any alternate names for these products that may be available. I am also finding that amazon don’t ship some of the products to Australia at this stage. Still waiting on Amazon to set up shop down under! Hi Amanda. If you check out our Amazon pouring page, it does give you alternatives you can look for. I know they won’t ship to you, but at least you’ll get an idea of the alternatives that people are using for mediums and oils. Maybe you can get a local brand pouring medium from your art stores there? And I suggest the dimethicone hair serums for making cells if you can’t find the treadmill oil in any large sports supply stores. Hope that helps. I’m new to acrylic pouring and have used dimethicone to try to create cells, still working on getting the ratios right. I have also watched some videos on youtube where artists use many different products like, treadmill lubricant, liquid wrench, and believe it or not, I saw one video with the artist using personal lubricants. Check out some videos on youtube and see what alternatives to silicone oil people are using. Amanda, Bunnings at Balgowlah sell Floetrol. I am at the moment reading all about Acrylic Pouring and want to start doing it myself. Have just bought the largest bottle (4 L) of Floetrol for $52 odd. 1 L costs $24 odd. Thus a big saving buying big. Try any of your stores that sell house paint. 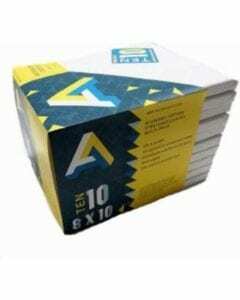 It is an additive that eliminates brush marks and improves leveling. It is a latex based paint additive. I had no idea what floetrol was when I first started reading about the acrylic pours. I stumbled onto it in one of our large building supply stores. The brand name is “Flood” and it has been on the market since 1841, the bottle says. I am sure there are other variations of this out there that you can find easily in your area paint stores. It should not be expensive. I paid less than 15.00 here in Florida at a Home Depot store, for a quart. Good luck…it is so fun! Can you please tell me what does the Floetrol do to the paint. Floetrol is a paint thinner and conditioner. It is added to the paint in place of a pouring medium to thin the paint to the right consistency for pouring. I love watching your videos! Thank you for sharing! I replied to a question from Amanda who is struggling to find Floetrol. I know you are in the Caymans, and I have seen posts by people in other countries looking for it outside the US. I am in Florida and have access to it right down the road at my local home improvement store with the house paint…but before I found it there by accident, I too went to Amazon to find it, and paid three times the normal price. I know you have limited access to supplies, as do some other people searching for specific brands. 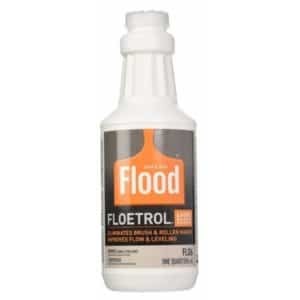 I am wondering if you go to a store that sells house paint and ask for a latex based paint additive to reduce brush marks and help with leveling, there might be something similar that is readily available for anyone looking for floetrol. 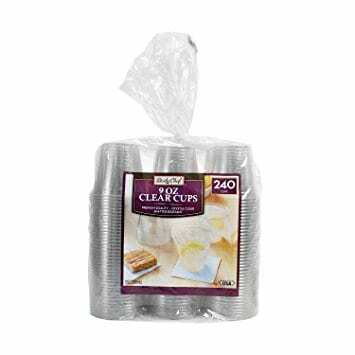 It is really inexpensive off the Lowes and Home Depot shelf here. There has to be a more cost effective and available product that paint stores carry locally for all of you, that goes by another name we don’t know about yet. What is the heat gun used for? HI Deby. 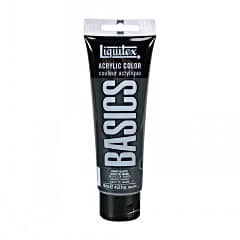 Quick question…if you buy the Liquitex ‘high flow’ paints, do you still need to add a pouring medium or Floetrol? 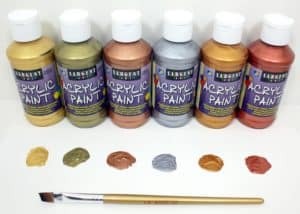 Hmm, I’m not familiar with the Liquitex High Flow paints, but if they are anything like the Golden High Flow Acrylics, then yes you still need to use a pouring medium. Not to thin them, but to actually thicken them even, because they can be literally like water if used on their own, and would cost far too much to work with them. Golden recommend using teh GAC800 with their high flow at a ratio of 20 parts medium to 1 part paint. Oops, sorry, I meant the Golden high flow paints! Thanks for the information. Now I won’t waste any expensive paint by thinking I needed no pouring medium! I’ve seen a few people try, but its often not that successful. Straight lines can be more easily obtained with a masking tape, but other shapes are difficult. If you find a foolproof way, do let us know. What ingrediants is needed to make your own Pouring Medium? I honestly wouldn’t know. I’m not even sure why you would want to make your own pouring medium from scratch but I guess if you have a chemical background it might be interesting. I think there are experts out there making pouring mediums of all sorts for me, so I’d much rather go with one of the tried and tested products on the market, then even think about making my own. thanks for your reply.The reason for asking is because its very expensive in South Africa. Flutrol is also not available here. Are you on Facebook? Come and drop into our chat group and ask the other members in our group what they use. We have several in South Africa who may be able to advise you. I’ve come across people suggesting using PVA glue mixed with water as a pouring medium (ratio glue 2:1 water). Deby do you think this may work? I am a wood slice jewelry artist. I would love to do some pouring, but on very small scale. Is this even realistic? How would you suggest I scale it down? Most people making jewelry will pour or swipe the paint onto a non-stick surface or onto Yupo paper. Then you can peel the dried paint skins to use or cut the design on the paper to make jewelry. Pouring in miniature would be very difficult to get nice designs I think. I just do not understand it. I have used Liquitex pouring medium, treadmill silicone, all manner of paints, and not a single cell. Are the paints mixed with water, they don’t flow when they come out of the tube. I would like to know an exact cup and what is in it, I am so frustrated. Resin is just one of the options for how to protect your painting, in place of a varnish. Whether adding a varnish or a resin top coat, you should ideally wait 4 weeks to allow the paint to fully dry and harden. 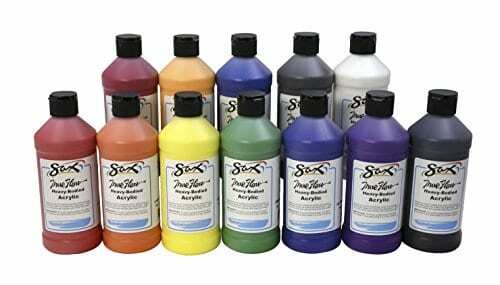 HI, If you are using the Artist Loft Flow Acrylic, do you need to add Flotrol to that as well? If yes, would it be the same 50% paint, 50% combined water/flotrol? Thank you, I find your videos so informative! All hardware stores in Australia that sell house paint also sell Floetrol. I happen to buy mine at Bunnings, Balgowlah, because that store is near me. I used different ways to get cells, watching the videos in You Tube. So, I’ve got nothing. I tryed to do my own way and I got cells. 1 – I mixed approx. one spoon of Floetrol with one drop of Elmer’s glue. Why I used just a bit of Floetrol? Because from my experiences the glue doesn’t mix well if the Floetrol is too much. 2 – After that add the difference of the Floetrol. 3 – Then add paint to be 50/50 Floetrol and paint. Do the same thing with all the paints needed to be used in separate glasses. 4 – Then add to every glass 5, 6 drops of Treadmil Belt Lubricant Silicone 100% (Amazon has it). and mix it, but not too much, only about 5 times. Let it stay for 1, 2 minutes. 5 – Then add to every glass other 2 drops of silicone. DON’T MIX IT!!! -swipe it, and so and. You will get cells right the way. Silicone 6 drops plus 2 drops. Water only if it’s needed. It’s all what you need to have happy cells and happy you. BUT: Get into the Facebook with Deby Coles. Get into her group, where I’ in!!! Ask for her advice. Buy her book “guide for the beginners in acrylic pouring” where she is answering to every question. I couldn’t know more about acrylic paintings without her help. Also ask her about my opinion. Also, be carefuly about the thickness of the paint. It must be ( it’s my way) the thickness of fresh honey. Ha, ha, ha! You can do it. Also: don’t put silicone in white and black paints. It says they are heavy paints, They will stay under the other paints or some thing like this. You may ask Deby about it. And don’t forget: I’m not Deby, I’m Nina. I know nothing. Hi Chuck, that should work. We’ve seen quite a few creative pours on things other than canvases. The drying time might be a tad bit shorter since the surface you’ll be pouring on is smaller than the typical canvas. Sounds like a good idea to me! Just did my very first pour today!! What a blast. I also tried a pour on a tile. Am I supposed to prep the tile before pouring? I will probably put resin over the tile too. Love your site and all the great tips and videos. Hi Colleen! We recommend that you prep the tiles. Here’s how we would do it. Hope that helps!